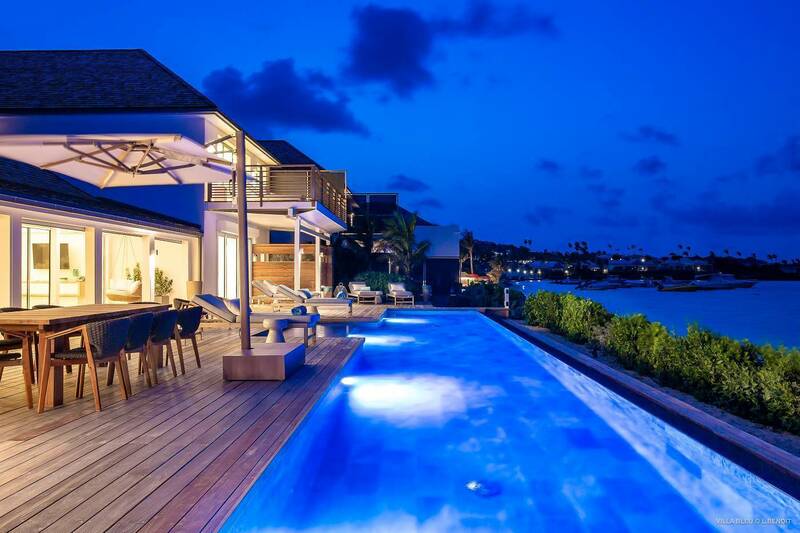 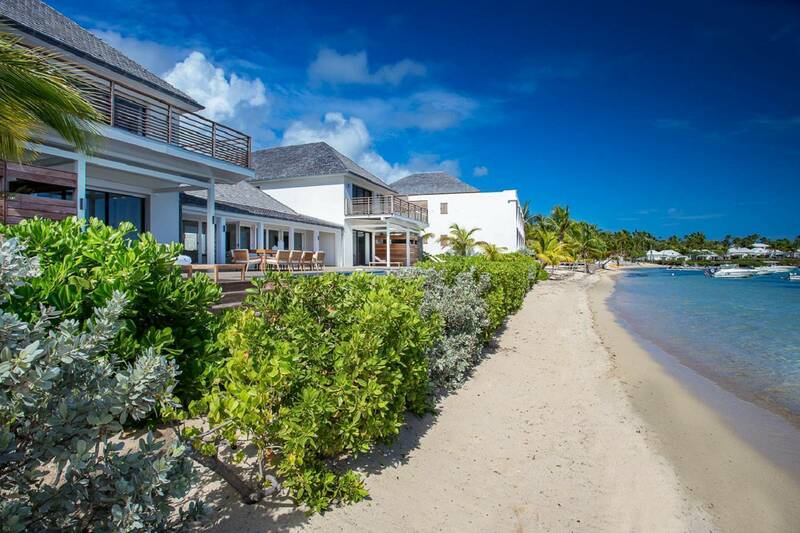 Dream About: A stunning and luxurious villa situated on the multi-colored bay of Grand Cul de Sac. 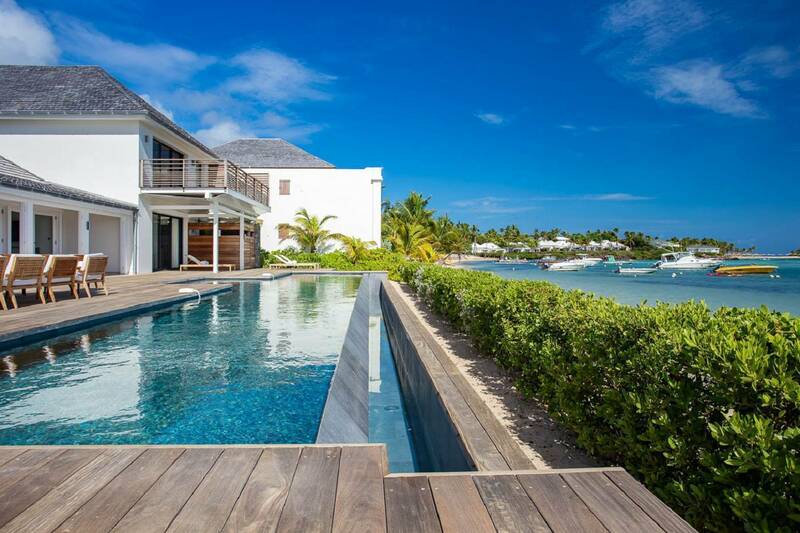 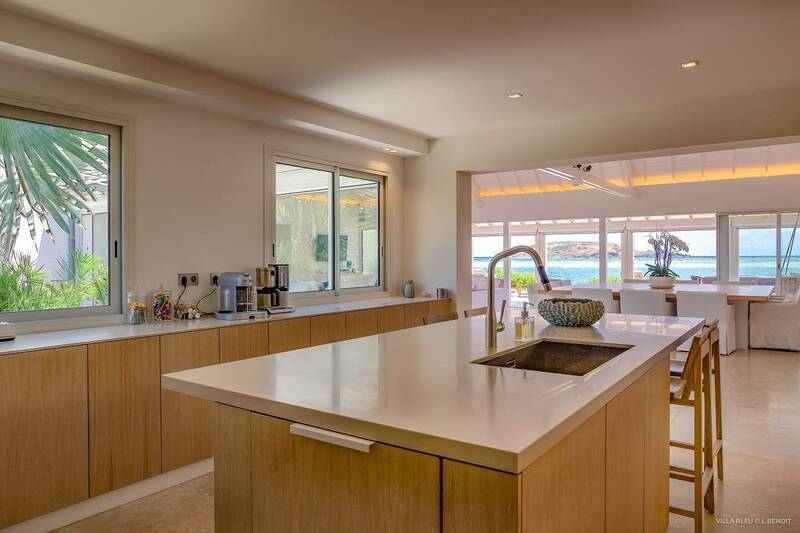 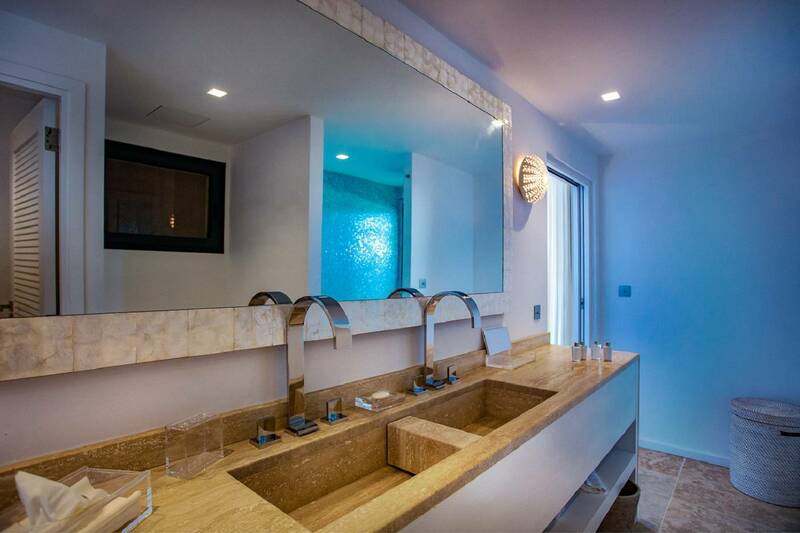 This stunning contemporary six bedroom villa is situated just-so on the multi-colored bay of Grand Cul de Sac. 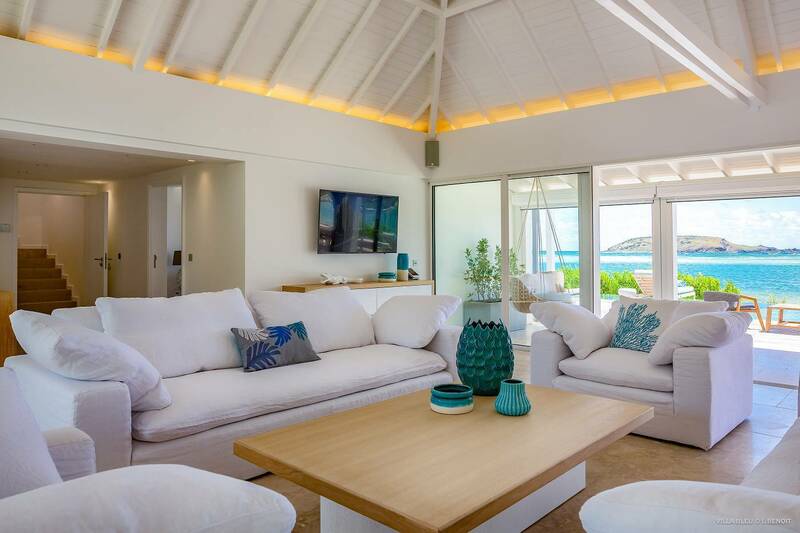 Its private beach access – steps from those warm cerulean waters – complements the extra-long infinity pool with its sweeping view of the sea. 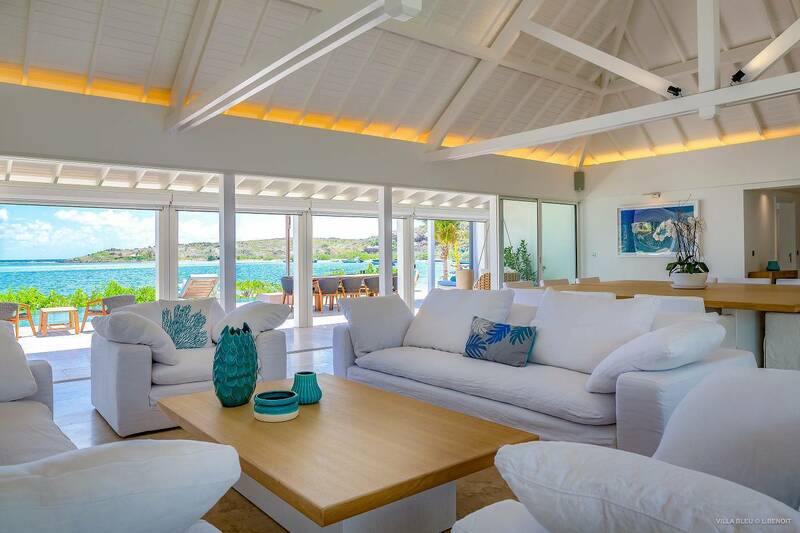 A spacious open floor plan includes a living room and dining area that open via a bank of French doors to the pool deck and outdoor living space. 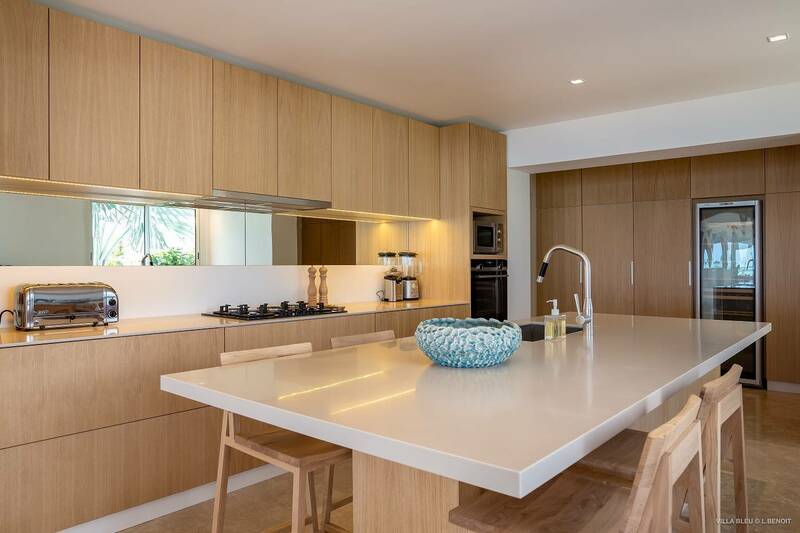 The sleek kitchen is equipped with state-of-the-art appliances; additional features include a pantry and food prep area, perfect for entertaining guests. 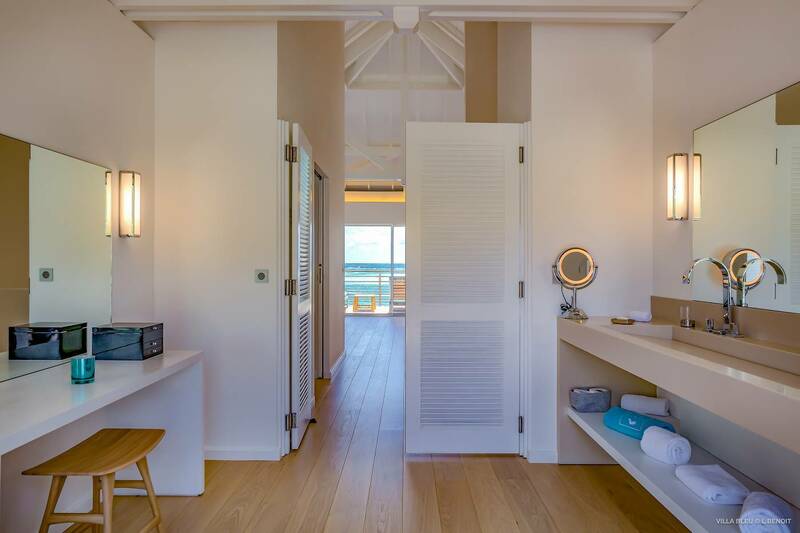 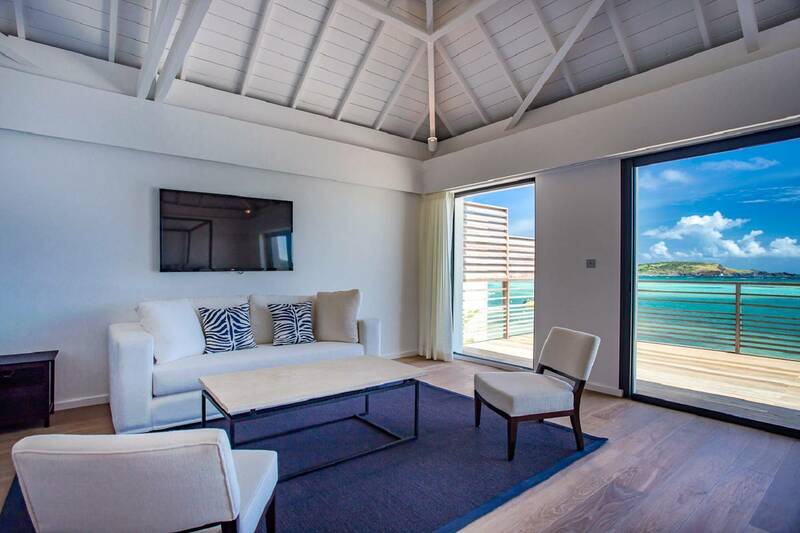 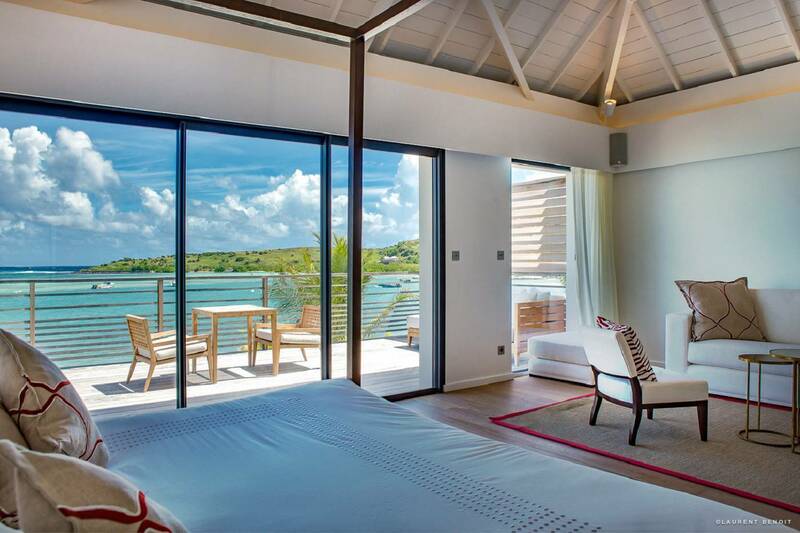 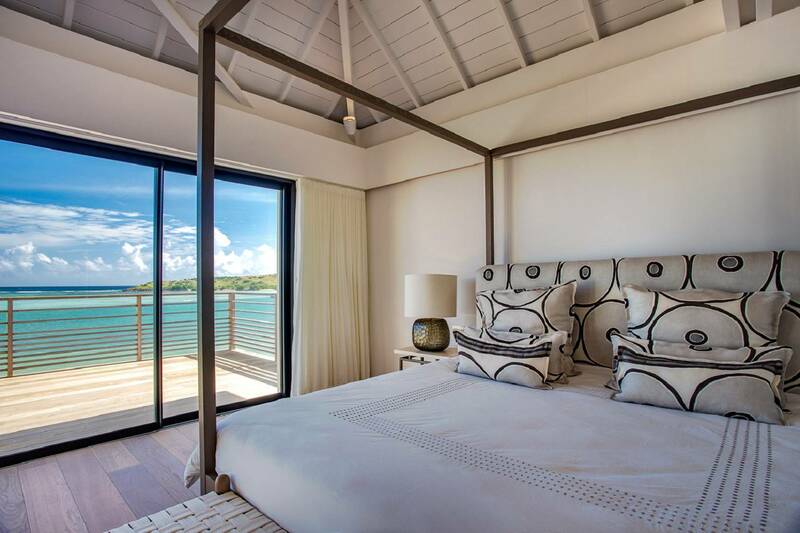 The six en suite bedrooms include four en suite French King bedrooms on the beachfront level and two upper level master suites with king beds en suite baths with double vanities and a living area; each opens to a furnished balcony and the view. 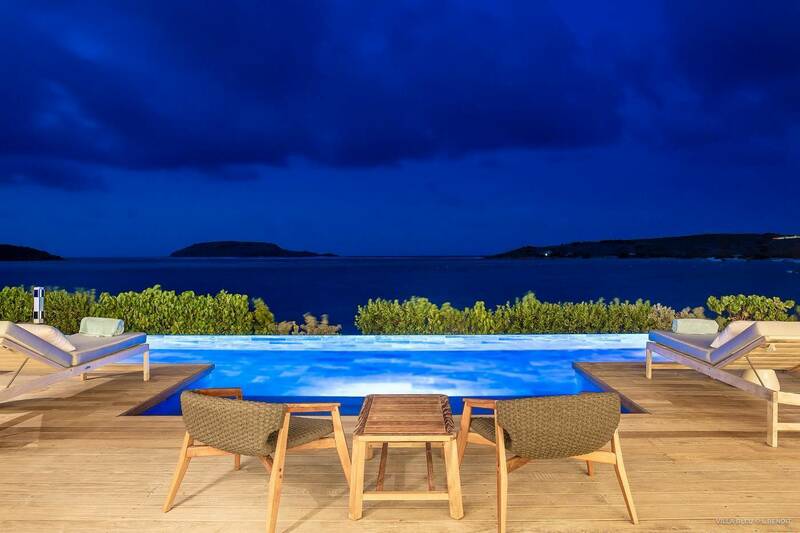 Proximity (walking distance) to two casual restaurants, the bars and dining venues of three 5 star hotels, and watersports rentals are a "location-bonus". 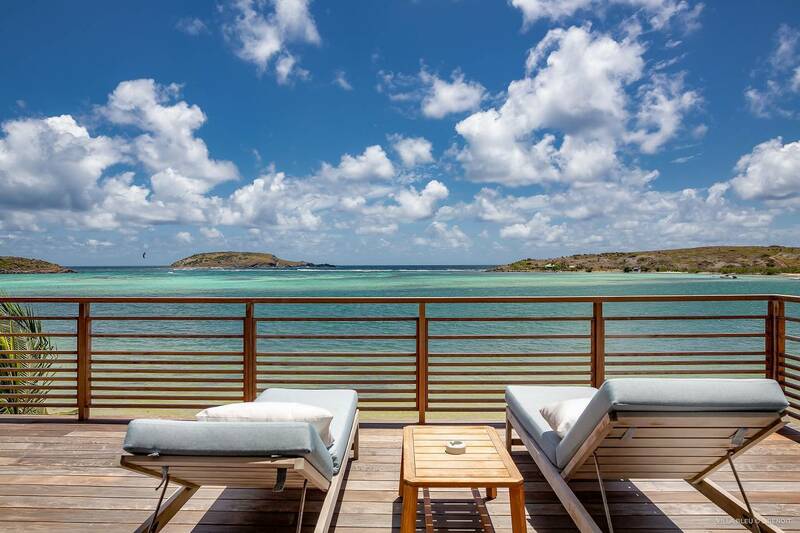 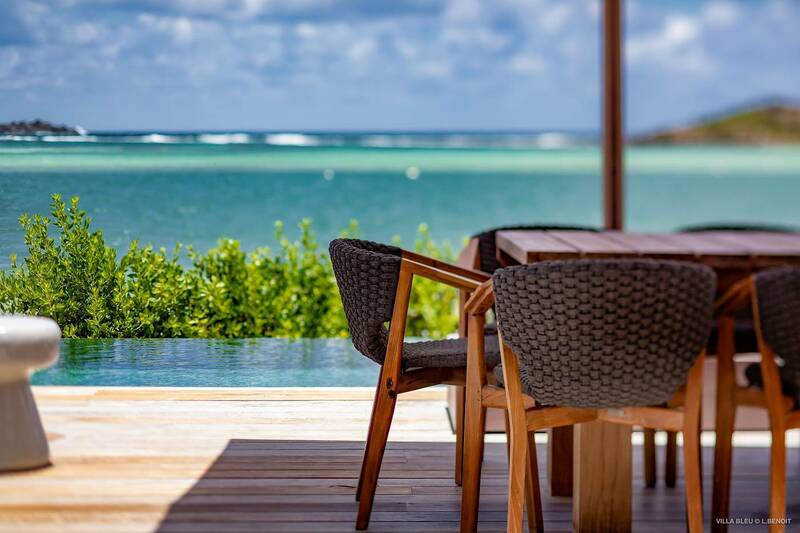 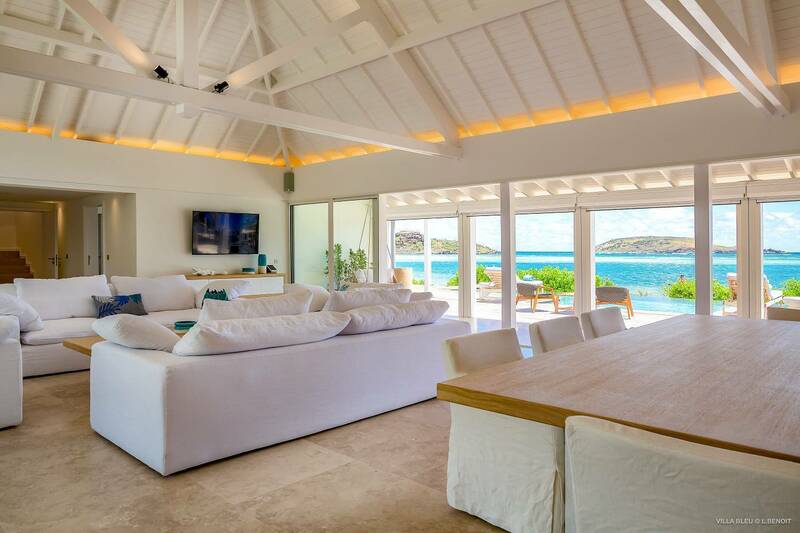 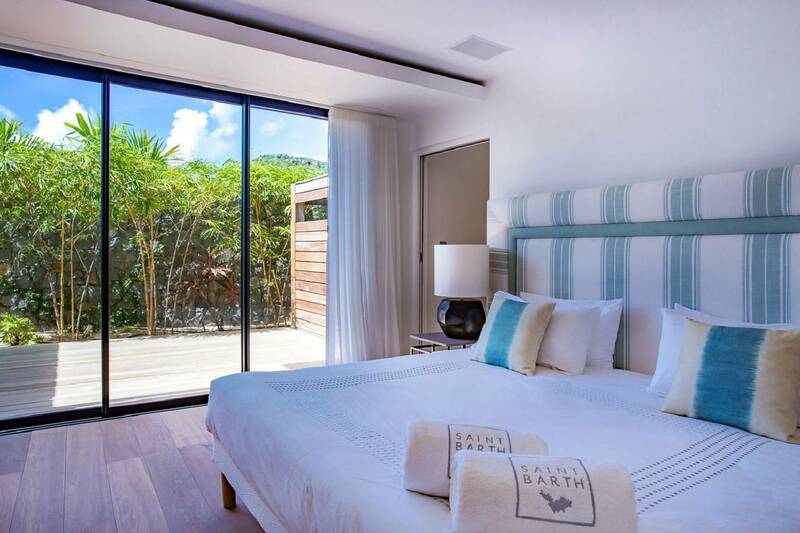 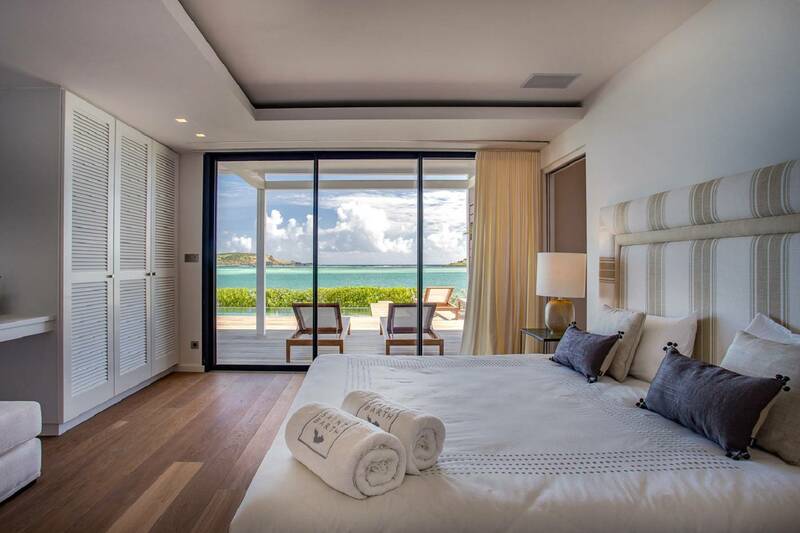 Part of St. Barth Properties exclusive Grand Cru Collection that provides for extra amenities and services including a morning delivery of continental breakfast with French pastries, juice and coffee and evening turndown service. 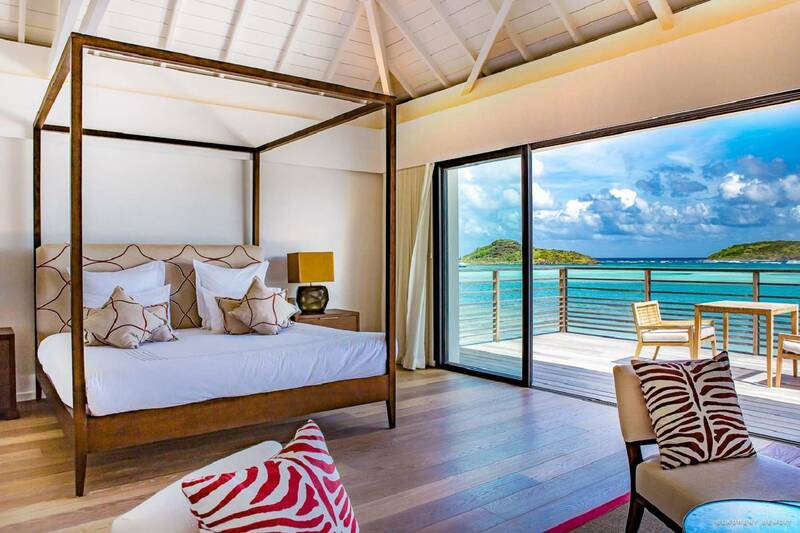 Guests of St. Barth Properties who are staying at Villa Aqua have signing privileges at the 5 star Le Barthélemy Hotel & Spa next door. 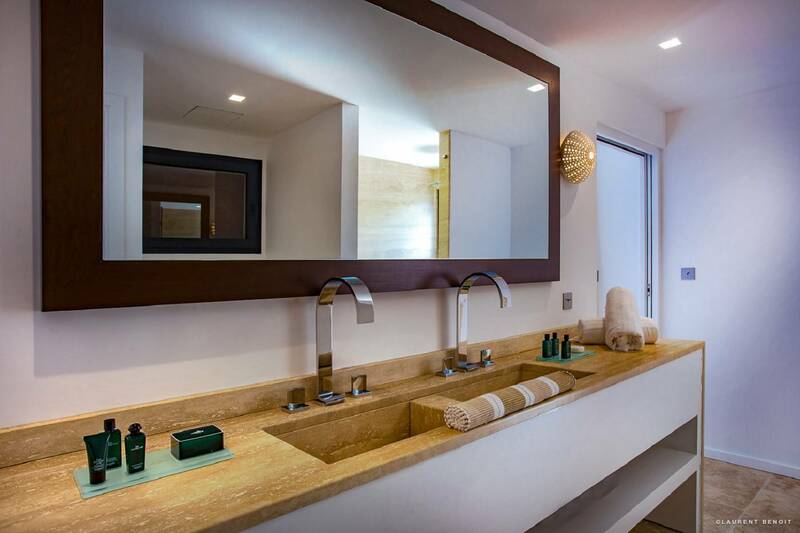 Access to the hotel’s restaurants, bars, the spa, incidentals and activities are included. 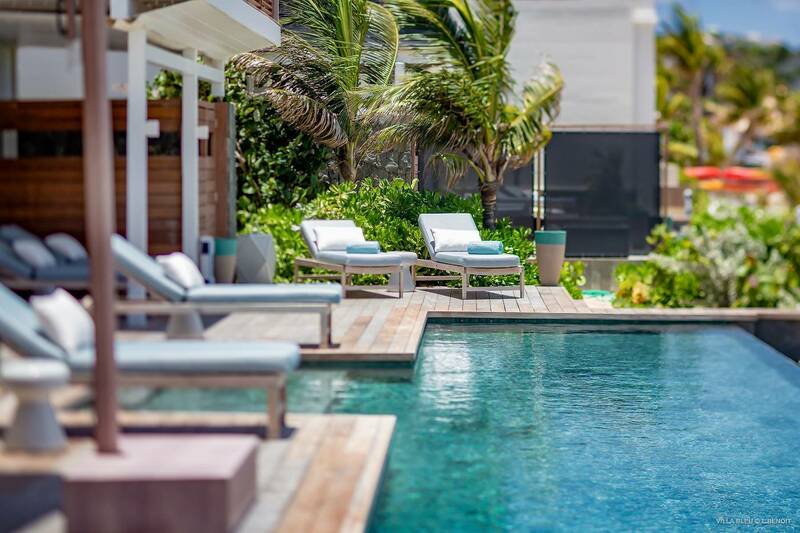 Use of beach loungers (reserved in advance and based on availability) and the state-of-the-art fitness center. 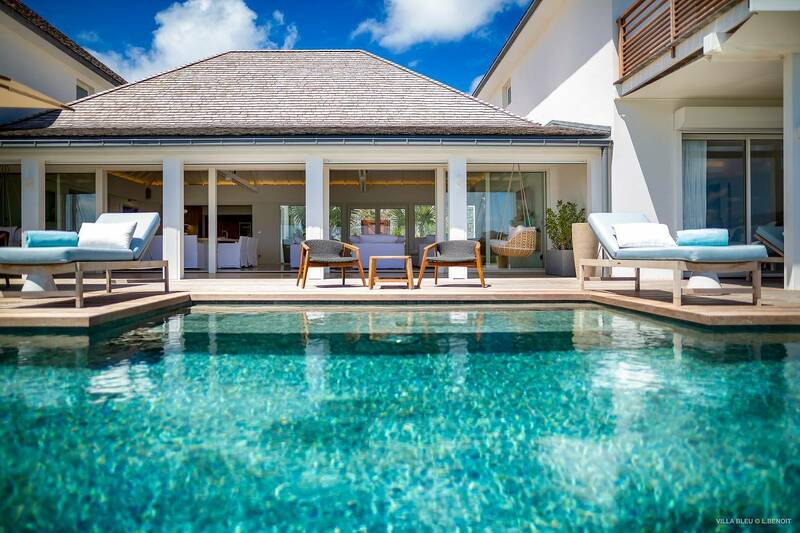 A continental breakfast is delivered to the villa each morning, but guests can enjoy the hotel’s buffet breakfast at a special reduced rate of €35 per person (regularly €50). 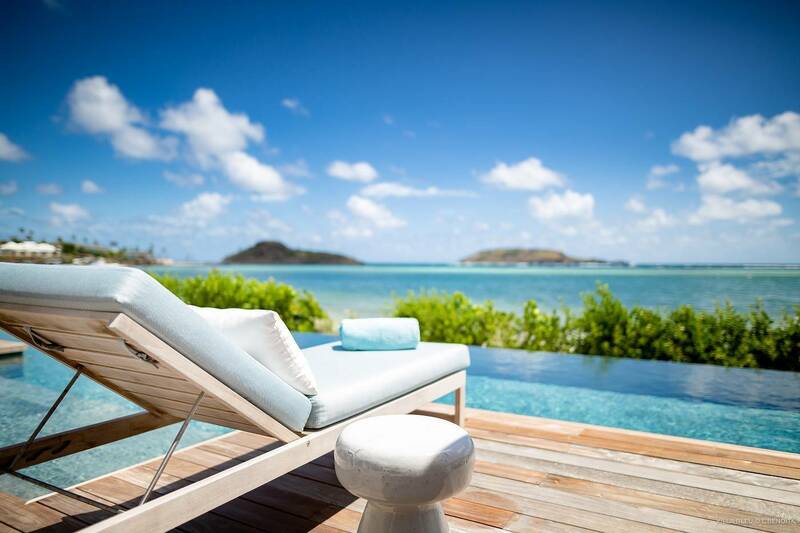 Accounts are settled upon departure. 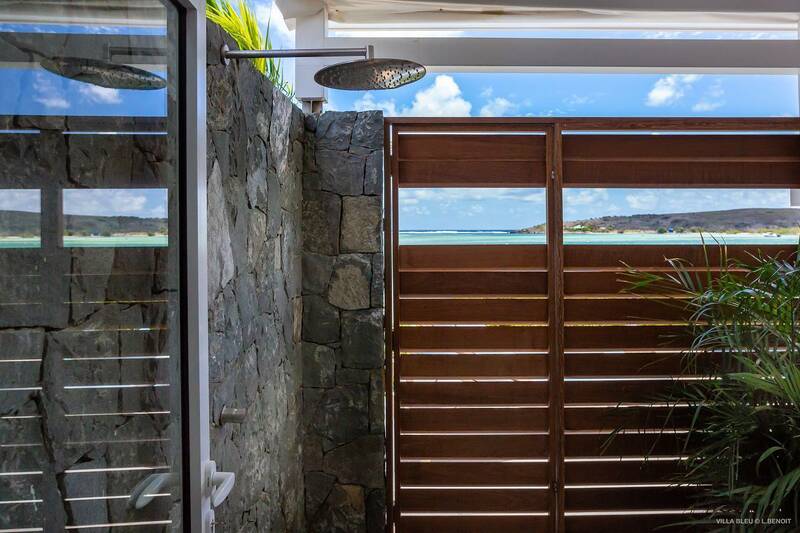 The direct access to the beach. 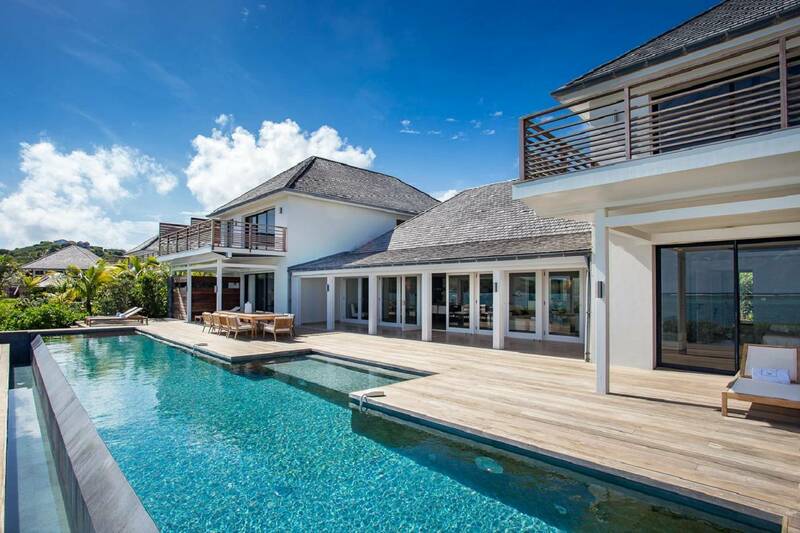 Spacious indoor and outdoor living spaces, extra-long infinity pool, six en suite bedrooms include two master suites.